One out of every 200 Australians is homeless on any given night. The last available Census data found that in 2011, there were 105,237 people experiencing homelessness in Australia. This number had risen from 89,728 in 2006, marking a 17.3 percent increase over five years. And with the number of rough sleepers visibly rising on city streets, it’s believed there’s been a further increase, which will be confirmed once the 2016 Census data on homelessness is released. 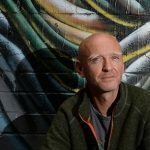 RMIT homelessness professor Guy Johnson estimates that homeless people on the streets represent a fifth of the overall population of those with no fixed address in this country. It’s this group of vulnerable people who are increasingly being punished for their plight. 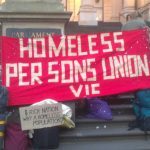 The NSW state government passed new laws in August that broadened police powers to remove people and their property from crown land, which effectively forced the Martin Place homeless camp to move on. 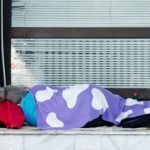 The City of Melbourne recently pulled back on passing by-laws set to make rough sleeping illegal in the CBD. It seems the United Nations declaration that the provisions would be a breach of human rights had some effect. Underpinning the homelessness crisis is a gaping lack of affordable and social housing. Currently, there are around 200,000 Australians on the social housing waiting list. And the 2017 Report on Government Services found the number of public housing homes has dropped by 16,000 since 2009. It’s against this backdrop that the Turnbull government decided to scrap the National Affordable Housing Agreement in last May’s budget. Its cited reason was that the 2016 COAG Performance report found that only one of four benchmarks had been met since it was launched in 2009. On October 25, the Treasury Laws Amendment (National Housing and Homelessness Agreement) Bill 2017 was introduced into parliament. It provides the framework for the government’s new approach to tackle the housing and homelessness crisis. It comes into effect on July 1 next year. However, according to many on the frontline, the agreement is simply more of the same, with the added provision that the federal government will be able to withhold funds if it sees fit. The agreement provides $4.6 billion in funding over a three year period. This continues the current funding from the previous agreement, with an additional $375 million for homelessness services. But, there are no provisions for increasing the supply of affordable and public housing. 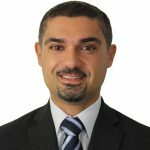 During the second reading speech of the bill, assistant treasurer Michael Sukkar explained that under the agreement, jurisdictions will be required to provide detailed strategies and improved data reporting in exchange for funding, meaning money can be cut if outcomes aren’t met. Jenny Smith, chair of Homelessness Australia, said “the legislation addresses all of the government funding that is currently in place for homelessness support services and public and community housing,” which is already “heavily utilised” and not available for other purposes. “Homelessness Australia is concerned that the legislation would give the federal government power to unilaterally set unrealistic targets for the states and territories and then cut funds if they don’t meet those targets,” Ms Smith told Sydney Criminal Lawyers®. The homelessness advocate stressed that more funding is urgently needed for permanent housing options for people leaving short-term crisis accommodation. This would allow the sector to deal with the influx of other people experiencing homelessness. The sector is “currently struggling to provide the main outcome clients need,” Ms Smith continued, “which is long-term affordable housing.” Last year, 279,000 people sought assistance from homelessness services, which is one out of every 85 Australians. 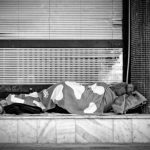 Homelessness Australia advocates for a national homelessness strategy with five years of funding, so those in the sector can concentrate on future initiatives, rather than having to continuously campaign against funding cuts. The national peak body for homelessness recommends that the housing first model should underpin social housing. It’s an approach to homelessness that initially offers homeless people a home to live in, and then provides them with wraparound services to deal with any other issues they might have. As well, they suggest a more tailormade approach for different types of people experiencing homelessness. This would provide for the differing needs of rough sleepers, prisoners post-release, people with complex needs, families, older people and youth. However, “the Turnbull Government is focused on arguing about existing investment, rather than a commitment to do more for very vulnerable people,” she added. 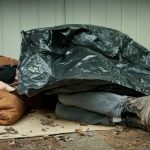 Legal advice provided to the City of Melbourne made councillors realise that the proposed ban on sleeping rough might be incompatible with the Victorian Charter of Human Rights and Responsibilities. So, the bylaws were abandoned. Instead, new protocols were implemented enabling council officers to remove rough sleepers’ camps. Officers are also allowed to confiscate rough sleepers’ belongings if they are left unattended or are impacting upon the enjoyment or use of public space. 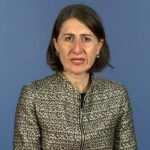 However, in NSW there is no legislation protecting the human rights of citizens. This allowed state parliamentarians to pass a law that specifically targeted the Martin Place rough sleepers, and the threat of sending in the police saw them take down their camp and leave. 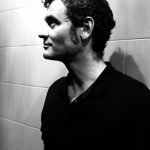 As Ms Smith put it, “the Sydney laws have just pushed the rough sleepers to other places, where they’re less visible and even less safe.” Indeed, once homeless camps grow in size in areas like Central’s Belmore Park and Wentworth Park in Glebe, they seem to mysteriously disband overnight.